Getting from London to Venice by train already sounds like a quite long journey. 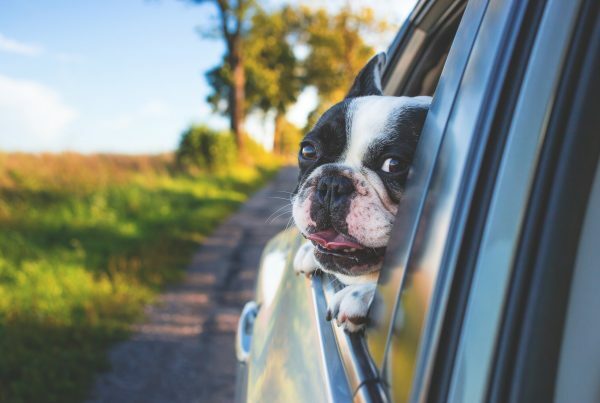 Add that you travel with your dog – hence some trains and routes are precluded – and you will have the perfect recipe for a new adventure! This is what my furry friend and I will do this August, adding to the travelling options we earlier explored (van and plane). The first problem is to cross the Channel. In fact, Eurostar trains do not accept dogs onboard, unless you have a guide or assistance dog trained by a certain organisation (also see n. 54 of the conditions of carriage), not all ferry routes allow passengers on foot carrying a dog (see my previous blogpost), and you cannot get through the Eurotunnel without a car. This blog post will not detail all the different options available for travelling with a dog by train from the UK to another European country, because this has already been done by a great train traveller and I could not possibly do better (the webpage I am referring to: “How to travel between the UK & mainland Europe, Taking your dog or pet by train…“, curated by Mark Smith, “the Man in Seat 61”). Instead, in this blog post I will provide you with all the practical tips and links you need if you wish to plan a trip similar to the one I am going to undertake. From the UK to France to Italy. There are a number of trains from London to Folkestone, from and to different stations, operated by National Rail and Southeastern Railway. However, when I spoke to Folkestone Taxi to arrange the next stage of the travel, they suggested Folkestone West station as a pick up point, beacause – they said – there it is possible for the driver to meet you on the train platform, while this is not possible at Folkestone Central Station. On British National Rail trains, dogs are allowed and travel for free (you can find the pet travel conditions here); the same applies for the Southeastern Railway (see point 7 of their FAQs). It takes from about 57 minutes to around 1 hour and 40 minutes to get from London to Folkestone and, booking in advance, you can get tickets as cheap as £10 or £13.5 (you can purchase them online on National Rail’s website). Southeastern Railway tickets are even cheaper, but you might have to change trains. To get from Folkestone to Calais we decided that we will get a Folkestone (Pet) Taxi (they also have a dedicated website for pet travelling) which travels via Eurotunnel. For the journey, they apply a £120 fare plus the cost of the Eurotunnel ticket. We were very unlucky in this regard, because in peak season and times the Eurotunnel ticket is extremely expensive, well over the taxi fare itself. However, if you travel in off-peak days and hours, I was told that the ticket normally costs around £78. You need to get there well before the time of departure of the Eurotunnel shuttle, because the check-in closes half an hour before. The crossing then takes 35 minutes, but you also have to take into account the time for disembarking once in Calais. In any case if you speak with Folkestone Taxis they will be able to help you plan that part of the travel, according to the time of the train you want to catch in Calais. Once in Calais, we will be left at Calais-Fréthun station, which is very close to the Eurotunnel. From there we will get a train to Paris, Gare du Nord. We chose to get the TGV, which is faster and has no interchange, taking 1 hour and 37 minutes station to station and costs around £23.5 (see below for the price of your dog’s ticket). On TGV, as on other French trains, dogs under 6kg are allowed in a bag or basket no larger than 45cmx30cmx25cm for a fare of €7, while dogs over 6kg must wear a muzzle during the entire journey and travel for a fare of 50% of the full 2nd class fare on TGV, Intercités and TER trains. All details about dog transportation on French trains are available here. How do you book your dog’s ticket? According to SNFC’s website (see previous link), you have three options to reserve your pet’s ticket: online, by telephone or at a ticket office. I tried to book it online, but I found that this option was not available neither on sncf.com, on voyages-sncf.com, or on loco2.com. Booking the ticket over the phone. Searching on voyages-sncg.com, I found on their dedicated webpage that pet tickets can only be booked calling their number (0844 848 5848, Monday to Friday 8am-8pm, cost 7p/min over your operator rate): I tried to call, but after a 15 minutes wait the recorded voice was still saying that the waiting would have been over 4 minutes. An alternative is using the number provided by the SNCF (from outside France it is +33 8 92 35 35 35, cost of an international call, plus any fees charged by your service provider as they highlight here). The third alternative is to purchase it at the ticket office. However, this means that you will take all the risks of not having a booking in advance. You can find Calais-Fréthun station’s ticket office hours here. On foot it takes slightly less than an hour to get from Paris Gare du Nord to the Gare de Lyon where the next step of the travel begins. Depending on the weather and timing (and also on the luggage you have) this can be a good option also to exercise your dog in between another long stage. Alternatively you can get the RER, line D (see the RER map), for two stops from the Gare du Nord to the Gare de Lyon. The travel should take 10 minutes according to Citymapper and the ticket costs €1.80. The conditions for dogs transportation (chiens, in French) are detailed, in French only, in the Mode d’emploi (January 2016 edition) issued by the RATP, the operator of Parisian public transports, and in the FAQs (see last point of the FAQs). In particular, according to the Mode d’emploi, small dogs are allowed to travel on public transports if kept in cages of maximum 45 cm (and they travel for free), while bigger dogs are only allowed on the RER and metro (so not on buses, tramways) given that they are kept on a leash and muzzled. In the latter case you need to purchase a reduced-fare ticket for your dog. The most convenient way to get from Paris to Venice is getting the Thello night train from Paris to Venice. Thello departs at 7.11pm from the Gare de Lyon in Paris and arrives at 9.35am in Venice, via Dijon, Milan, Brescia, Verona, Vicenza, Padova and Venezia Mestre. leashed and muzzled when leaving the cabin, which it is supposed to leave rarely and never be left alone in. The booking of a single cabin costs €290, all other fares are available here. After this, we might continue our travel from Venice to Trieste, with a regional train. For Italian trains, you can find the pet travelling conditions explained on Trenitalia’s website here. 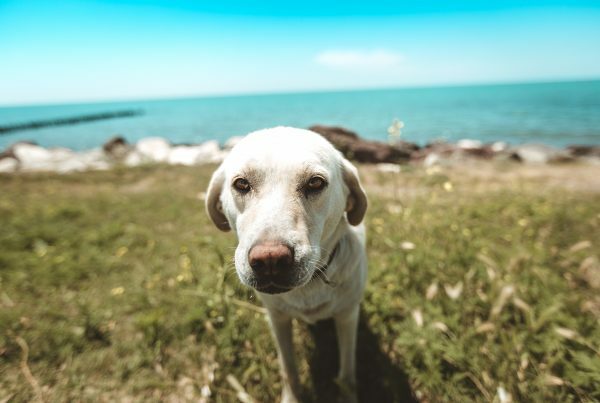 You must have your dog’s European pet passport with you (or the certificate of registration in the Canine Register Office if you reside in Italy). Once in Italy, we will be travelling to Tuscany by car and explore the Italian beauties. But this is another story, which I will tell you more about in a futher blog post later this summer! In July I will also write about the possible difficulties in such a long trip and provide you with a little survival guide. Disclaimer: I do my best to provide accurate information, however it can happen that I miss some information or things can change in time, therefore I strongly recommend that you double check the information provided before purchasing tickets etc. My dog is a Cavalier King Charles Spaniel aged 9 and she has never worn a muzzle – why would she, she is the sweetest, loveliest dog. I want to go to Nice, France, by train, and I am worried that she would be stressed at having something on her face that she is not used to. Do you know if they enforce the muzzle for small, cute dogs like mine? Or maybe I could just pop it on if the guard comes by? Or does anyone know of a kind of “fake” muzzle that she could pretend to be wearing? Thank you for your message and lovely to hear that you are planning a trip with your dog to France. I have not seen anyone checking the dog, honestly, apart from having the correct ticket. Anyway, I would recommend training her to wear a muzzle, you can find some soft ones which do not cover the whole muzzle and you can gradually introduce it to her as a game and for very short sessions; it is important that the dog associates it with a positive experience, so lots of rewards and fun. You can find many posts online about how to train a dog to wear it. You mention to prepare your dog to wear a muzzle yet the picture is a dog without a muzzle. Really! Thank you for your comment and concern. The photo is from a previous travel in another country were a muzzle is not required. Anyway, although honestly I have not seen the French muzzle rule enforced (none of the dogs I have seen on trains were wearing one and for part of the travel we took it off), if you decide to take it off/not have the dog wear one is at your own risk and I would definitely not recommend not having one nor not teaching your dog to wear it if you are looking to make this kind of journey. Thank you so much I found this article and your blog generally to be very reassuring to us as we journey to become first time dog owners. I am planning a trip to Rome from Calais (I will drive there) with my 8 years old border terrier and I was wondering how do I give him the necessary toilet breaks..
nice. 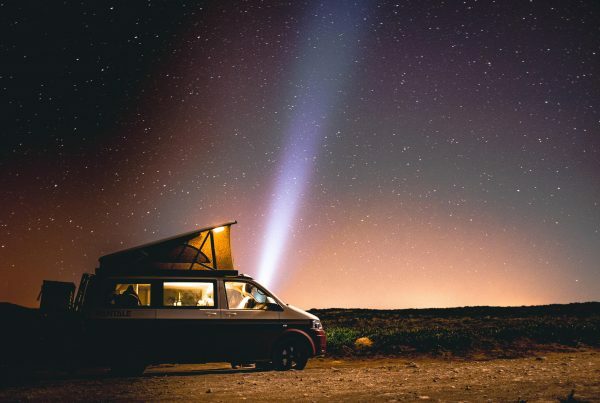 When we travelled by can/van we just planned some pit stops along the way in some towns we wanted to visit and frequent stops at petrol stations. Thank you sooo much for this article! I didn’t know about the Folkestone Pet Taxi and that just sorted all my travel problems!!! That’s fantastic to hear, Arianna! Wonderful it helps! Really helpful, thank you for this article! Will consider a similar route next time I go visit my family in Italy. Amazing post! Thank you so much for this! Super helpful! Hi I am thinking of making a similar journey next summer. I have come across a camp in Venice that has a ‘dog camp’ with dog friendly beach and even a swimming pool for dogs- I have to go!!! my parents are towing their caravan but a. It’ll be cramped in their car and b. It is a VERY long journey by car. So I am considering thello as an option. My planned interninary is very similar to yours except I can travel on eurotunnel in parents car with caravan. They will then drop me off at calais frethun I will take TGV down to Paris and spend a couple of nights there in a dog friendly hotel before catching thello down to venice. Your blog is very helpful thankyou. I just wanted to ask a few questions. 1. You state dogs must wear a muzzle on public transport. How strict are they on this? I am happy to carry a muzzle ‘just in case’ but I own a labrador – he is the softest, friendliest dog you could ever meet!! 2. Onboard the thello – I see it stops at places like Dijon enroute. Are the stops long enough to get off the train for a ‘wee’ break? I am worried about my dog ‘holding’ himself for so long. Or is it not worth the risk of train moving off without me?! obviouisly I’d stay very near to the platform hopefully finding a small patch of grass. Finding dog friendly restuarants in France is easy (well travelled with dog, but usually only by car not public transport) your park map guide and translation for Paris is very helpful, thank you.